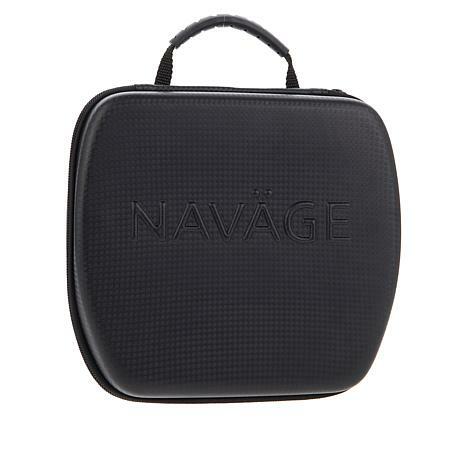 Travel case for the Navage Nose Cleaner (sold separately). 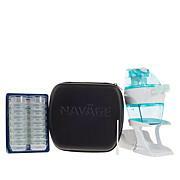 I am really in love with my Navage, use it daily for allergies. My trouble was that with limited space, where do I store it. And here it was, fits perfect and now can take with me on overnight trips. As much as I love my machine, it is nice to have a storage place for it. So happy I found this great invention on HSN. FYI...I also found out how to make my own saline and will not have to keep buying the refills after seeing you had sold out. Youtube has some good tricks. But I have told dozens of friends where to buy this great invention including my Health Insurance Nurse and now she is telling other patients after she got one and also loved it. HSN Rocks for finding the latest gadgets and proudly gives them to us. Never change into QVC.